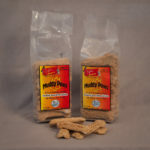 View cart “MUDDY PAWS – BISCUIT MIX – Peanut Butter” has been added to your cart. 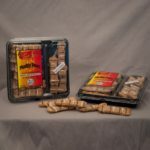 These are peanut butter bonz made with activated charcoal. Ingredients: White Rye Flour, Rolled Oats, Honey Granola, Peanut Butter, Charcoal Activated Powder, Dried Mint, Dried Italian Parsley Cinnamon Powder.